In once seemingly stable democracies, intolerance for media is playing out in various ways, from online harassment to assault and murder. WAN-IFRA President Michael Golden shares his thoughts on the fractured climate for journalists ahead of the World News Media Congress in Glasgow in June. Kim Bode, community and product operations manager at News Deeply and adjunct professor at the New York University, makes the case for community-centered journalism. A new report by the Reuters Institute for the Study of Journalism (RISJ) at Oxford points to an important future for investigative reporting. Sweden’s Expressen is set to increase the quality, output and profitability of its already extensive video operation in 2019. Editor-in-chief Thomas Mattsson, who will speak at this year’s World News Media Congress in Glasgow in June, shares his plans for the newsroom. The British government has ordered a review into the sustainability of high-quality journalism. Its chair Frances Cairncross, who will address the World News Media Congress in Glasgow in June 2019, explains the challenges. 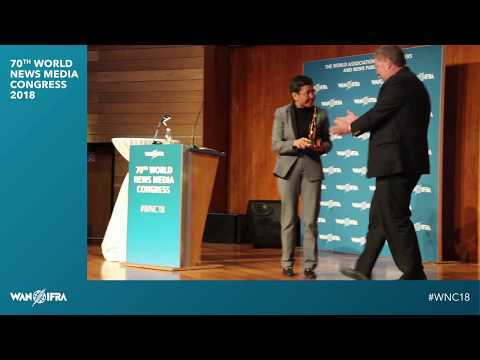 Next year's World News Media Congress (WNMC.19) will explore Newsbrands. Audiences. And the gap between. With total audience numbers for many publishers at an all-time high – thanks to digital reach – and trust in quality journalism showing signs of turning despite sustained attack, what's the issue? Constructive journalism, a solution-oriented approach to news reporting, aims to provide a more accurate picture of the world while adhering to core journalistic principles. Ulrik Haagerup, founder and CEO of the Denmark-based Constructive Institute, argues it’s high time news organisations take it up.